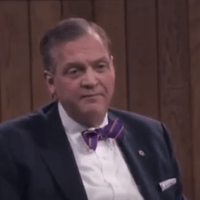 (JD Hall – Pulpit & Pen) Recently in a Q&A with students, Albert Mohler explained his stance on Social Justice, now pushed heavily by Southern Baptist Theological Seminary and basically anyone within Albert Mohler’s sphere of influence. Only seven short years ago, Mohler was against Social Justice and took the negative side of the debate with Jim Wallis, arguing that it is not a priority of the church. Today, Mohler’s stance has radically shifted. Mohler sought to explain that there were two basic kinds of Social Justice, one of which is bad, and one is good. The bad side of Social Justice are those of the radical left, who Mohler identified as the “left wing of Marxism” and identified the Frankfurt School as a progenitor of those ideas. There is another side to Social Justice, Mohler goes on to argue, implicitly the evangelicals who have become recently “woke” and received their passion from the Bible rather than from the leftist Frankfurt School. There are two concepts of Social Justice out there, and have been from the very beginning. The one that’s getting a lot of attention right now is a notion of social justice that is rooted in what is basically a Marxist source and explicitly you can draw a line. As a teenager, I was having to look at these issues and grapple with them because the New Left, as it emerged in the 60′ and 70’s, was emerging as I was a young person. And as a Christian apologist, very young Christian, trying to think these things through, this New Left Marxism was right in my face and right in the classroom where I was taught. And, it’s a very toxic worldview…Critical Theory, the Frankfurt School, coming out of the left wing of Marxism in Europe was basically – and this is key – a repudiation of consensual politics.